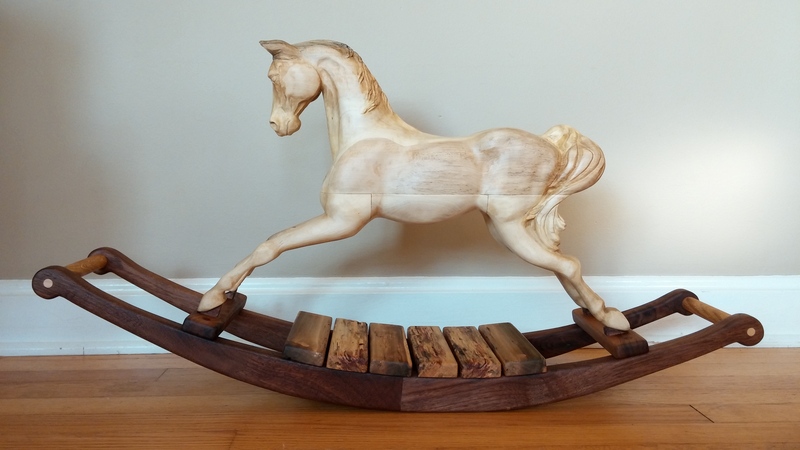 Hand carved from American Holly, with spalted poplar and walnut rockers. 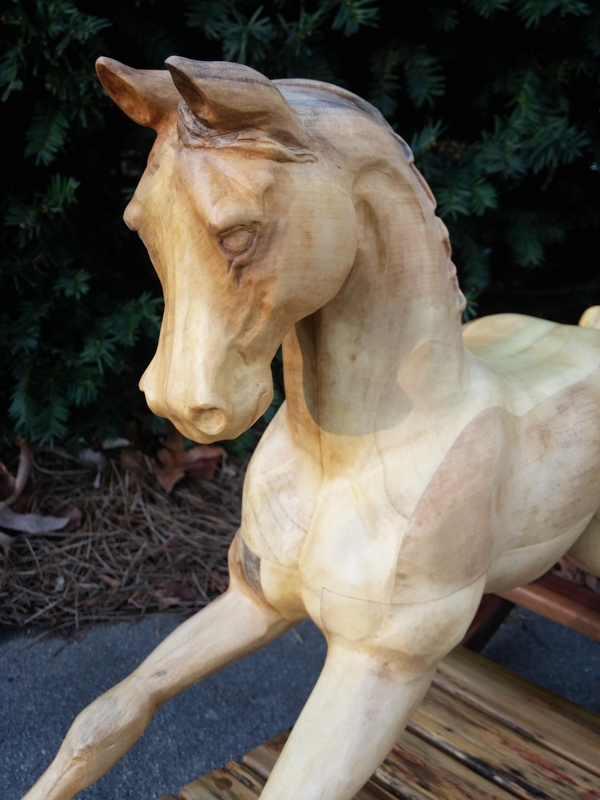 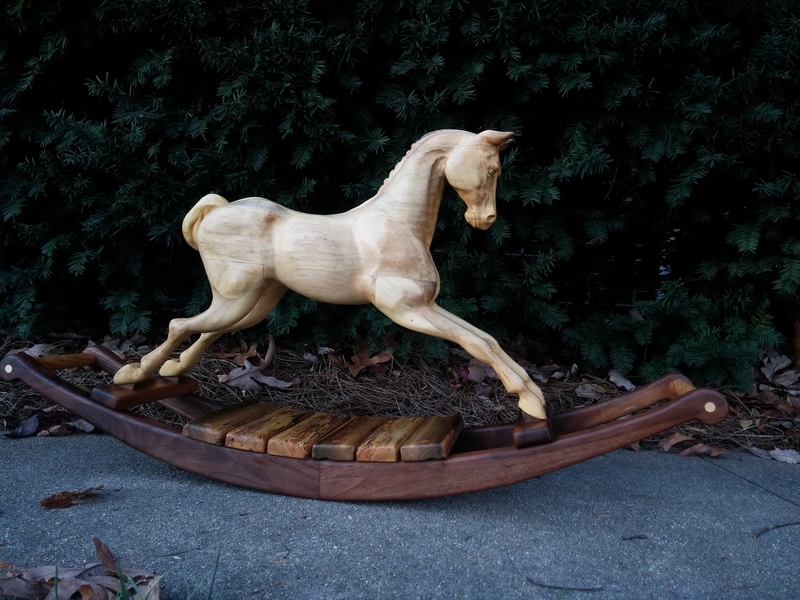 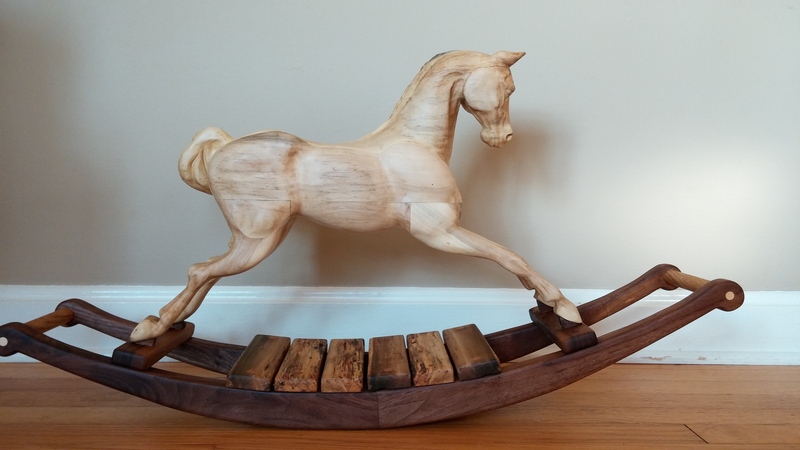 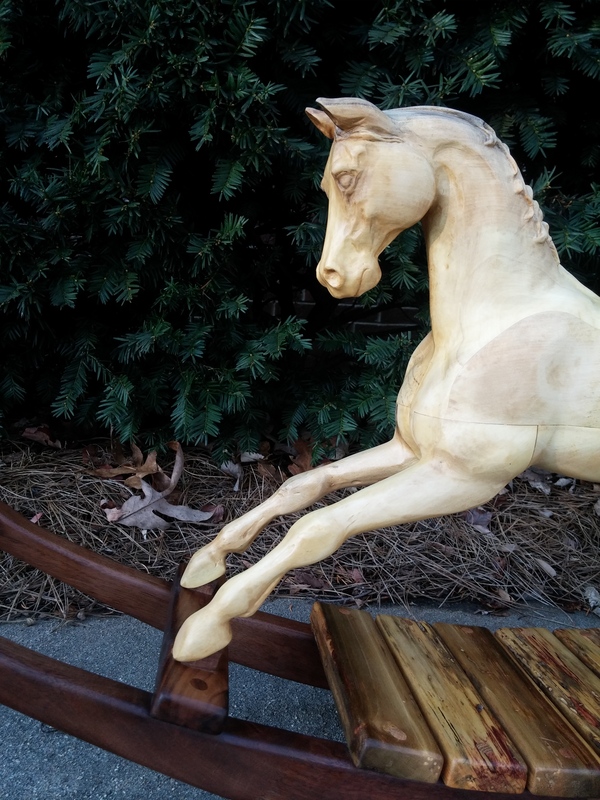 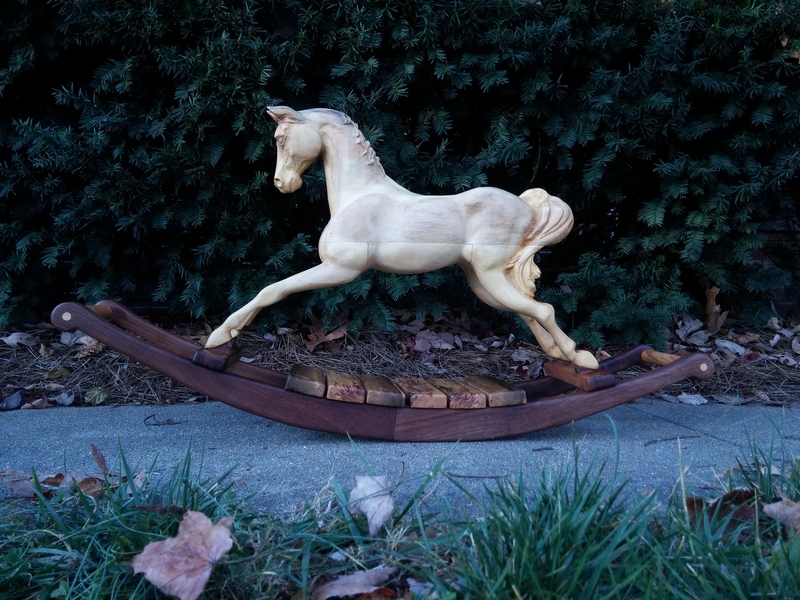 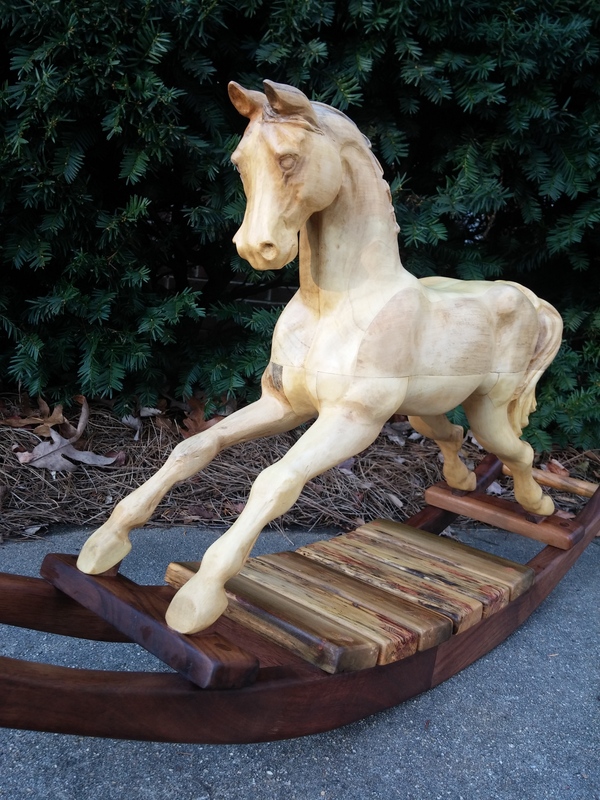 This fine horse is sure to delight sitting atop a mantel, book case or even used by the grand kids! 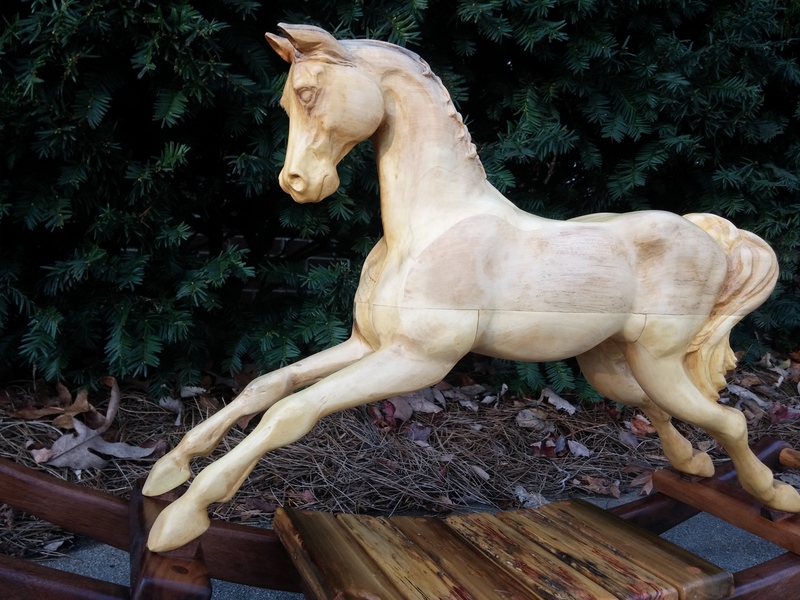 Intricately carved features include a spirited expression and luxurious tail. 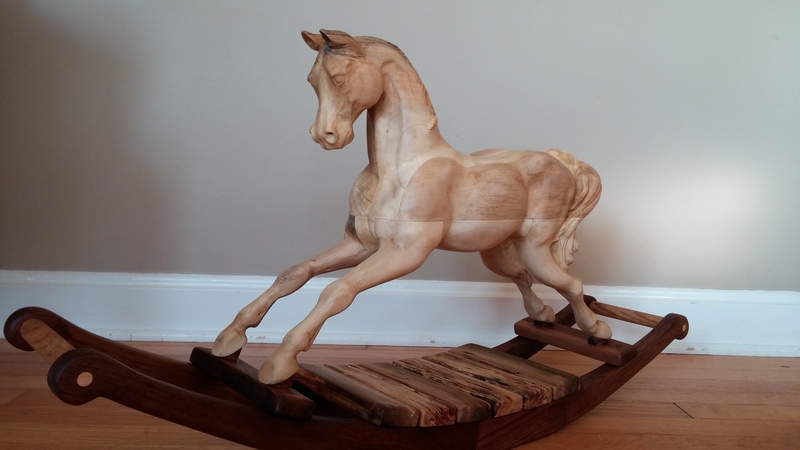 The warm golden glow of the wood shines with an all natural oil and wax finish.